Loomis Basin Vets PRESENTATIONS ALL DAY! All Tack Sale fees benefit the Pines to Mines Trail! More buyers!! 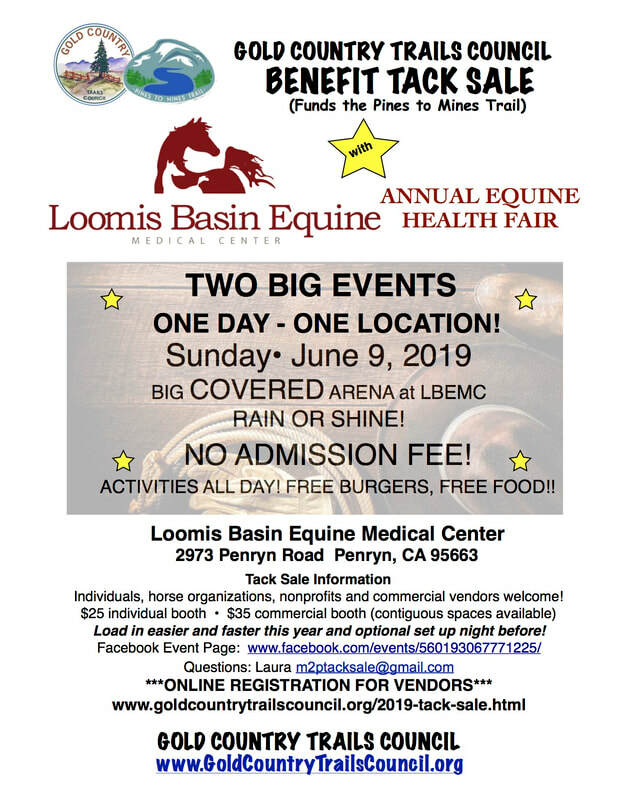 LOADS OF PEOPLE will be attending the Loomis Basin Equine Health Fair AND our Tack Sale! *If you select load in the night before, there will be GCTC members staying overnight, but, LBEMC and GCTC are not liable for theft or loss. CLICK HERE FOR THIS FLYER! ALL DAY, including Saddles That Fit!